Invigo is a highly configurable series of sit to stand desks that can be specified in a range of sizes and finishes. Built on a high quality three-stage, dual motor lift base with three programmable positions, Invigo desks raises to a variety of heights. 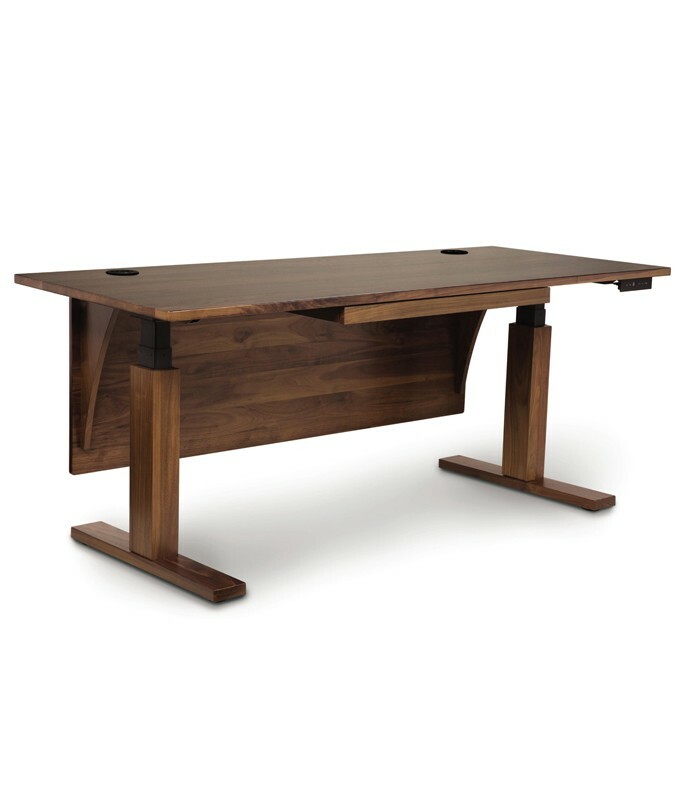 The Invigo Sit-Stand Desks are crafted in solid cherry, solid walnut or solid ash hardwood and Made to Order in several finishes. The finish is GREENGUARD Certified for low chemical emissions. Desks may be fitted with a variety of wire management, storage, decorative and computer accessories.